Here you can find polymer clay jewellery made with polymer clay that glows in the dark. 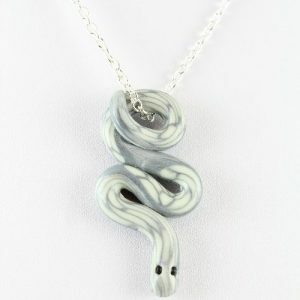 Cute glow in the dark snake pendant – handcrafted with polymer clay. 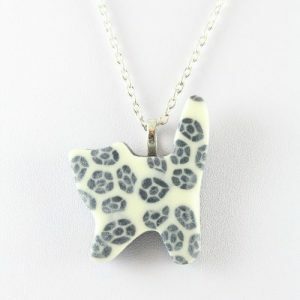 Cute standing cat pendant with flower motif. 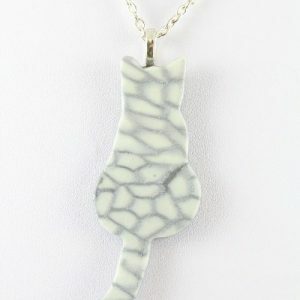 The cat glows in the dark and has been handcrafted with polymer clay. Pretty cat pendant with flower motif. The cat glows in the dark and has been handcrafted with polymer clay. 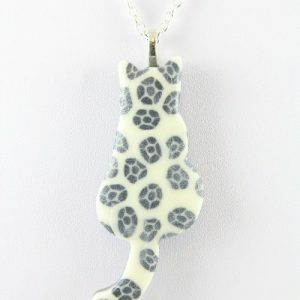 Cute cat pendant that glows in the dark – handcrafted with polymer clay. 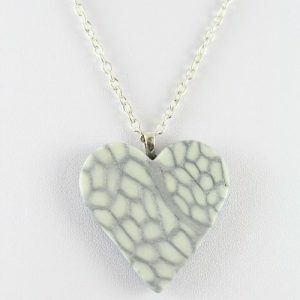 Beautiful heart pendant that glows in the dark – handcrafted with polymer clay. 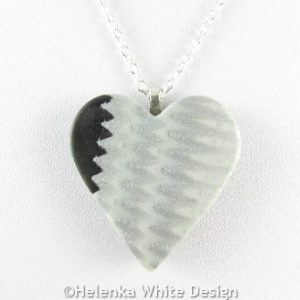 Silver and black heart pendant – handcrafted with silver, black and glow-in-the-dark polymer clay. The heart hangs on a silver plated chain, which closes with a silver plated lobster clasp. 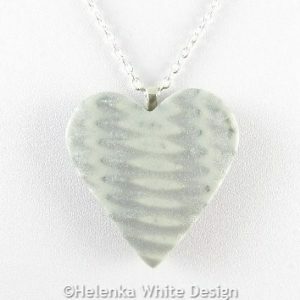 Silver heart pendant – handcrafted with silver and glow-in-the-dark polymer clay. The heart hangs on a silver plated chain, which closes with a silver plated lobster clasp.